There are even more ways than one to unclog a toilet. Many people thought that there was only one way and if that way didn’t work, they might have had to head out and purchase a new toilet. This is not the case. When you need to make sure that your toilet is working in the best way possible. 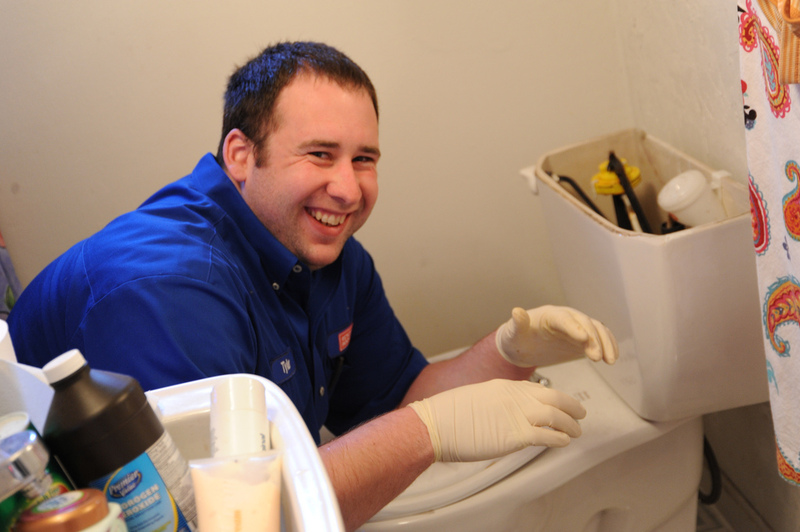 Take these ways for unclogging a toilet into consideration. Plunger – This is the most common way that someone would unclog a toilet. You would go into the toilet bowl with the plunger and apply pressure. This usually removes the clog that is keeping the toilet from flushing. Snaking – Snaking the drain helps to remove the clogs that might be keeping the water from going down. This can be done using a snake and a steady hand. Drain Chemicals – Pouring drain chemicals down the pipe can help to remove all clogs that might be sitting there. You want to use this according to the package instructions however, since each chemical is different. Baking Soda and Hot Water – This can remove most clogs that might need to be broken up. This creates a cleaning, scrubbing chemical reaction down the drain. It is less likely to work than some of the other options. Call a plumber! – This is the best method for getting a toilet unclogged. When all the above fails, then you might want to call in someone that knows even more ways to remove clogs from toilets. The plumber can come in and unclog that toilet in no time. Generally, unclogging a toilet can be done easily on your own from home. If you find that the clog is too much or that you’re unable to remove it, a plumber is the best person to call to have come out and do the job for you. Speak with us here at Contractors Today by giving us a call or filling out our form below. We can help you find the plumbing contractors that are currently working in your local area.